A few weeks ago, Glen Beck launched an attack on churches that speak about social justice. It was an interesting plan of attack for a conservative to attack churches that are politically active, given that in previous years, it was conservatives begging evangelicals to be politically active. So I must admit that I didn’t quite get what Beck was trying to say. As a professor of evangelism and someone that has spent considerable time reflecting on the social-cultural role of evangelicalism in American society (see my book: The Next Evangelicalism), I was a bit taken aback by how many bought into the belief that social justice should not be a part of the work of churches. The divorce of social justice from personal piety was a major failure of the evangelical church in America in the early part of the twentieth century. In the 19th century, Christians were oftentimes at the forefront of social reform, leading the abolitionist movement, the reform of child labor laws, and voting rights for women. It was in the 20th century that fundamentalist Christianity moved towards a more isolationist view that led to an unhealthy disengagement from society. In the 21st century, many younger evangelicals are attempting to reassert that social justice is an integral part of one’s faith. It is in actuality, an attempt to return to a social ethic that arises from the Bible. From April 14-17 at North Park University, a group of evangelical scholars, pastors, and activists will gather together to examine the question: “What does an evangelical social ethic for the 21st century look like?” Beck’s statements revealed a fundamental weakness among evangelicals. We struggle with the role of the church in society. We vacillate between overly ambitious attempts to take over the government and retreating to our Christian rabbit holes. As a new generation of more ethnically diverse evangelicals arise from the rubble of the Religious Right, we may see a whole new role for evangelicals in the public sphere. 4days4justice at North Park University is an attempt to hear from previously marginalized voices in both American society and the evangelical community. We will have the chance to hear Native American Christians address the issue of environmental justice. (I still haven’t figured out how we ever had any serious dialogue about the environment without considering the perspective of the Native American community). We will be involved in round table discussions (in a fishbowl style) on the topic of social justice with evangelicals from various ethnic communities. And we will offer workshops (particularly geared towards local churches) on various social justice topics during a one day training session on Saturday, April 17th. Will we answer all the questions about the role of evangelicals in the public realm.? No, but I hope that at least we’re asking the right questions. 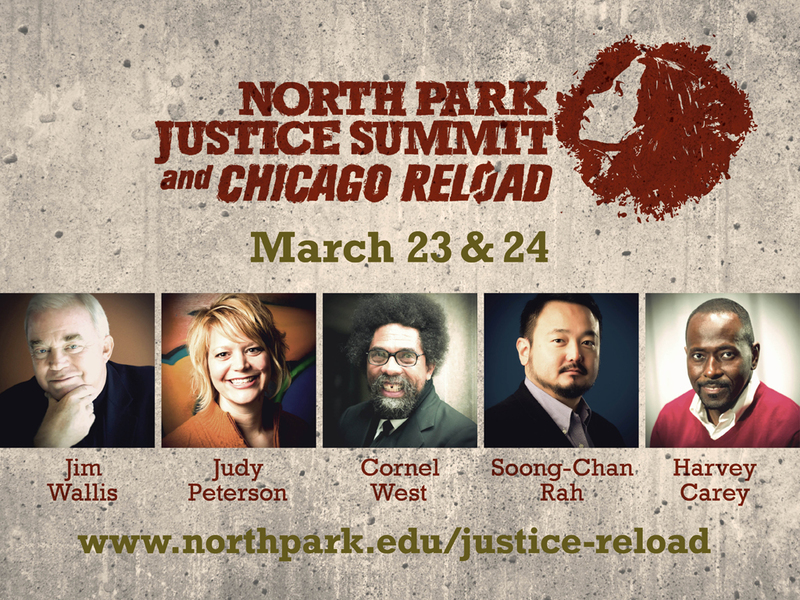 For more information check: www.northpark.edu/4days4justice. Peter Heltzel, the author of Jesus and Justice and Assistant Professor of Theology at New York Theological Seminary will be speaking on the topic of Jesus, Justice and Race at 9am on April 15th as part of 4days4justice. I have had the privilege of working with Peter on two different book projects: (1) on the Theological Legacy of John Perkins and (2) Theologies of Freedom. Here’s a link of an interview with Peter Heltzel about the real meaning of Christmas. 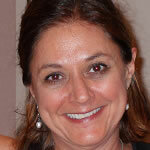 After Peter Heltzel’s session, Mimi Haddadwill be speaking at 10:45am on Thursday, April 15th. Dr. Mimi Haddad is president of Christians for Biblical Equality. She is a graduate of the University of Colorado and Gordon Conwell Theological Seminary. She holds a Ph.D. in historical theology from the University of Durham, England. She has written numerous articles and has contributed to eight books, most recently as an editor and a contributing author of Global Voices on Biblical Equality: Women and Men Serving Together in the Church. For more info: See the 4days4justice website. You can register HERE. Terry LeBlanc is one of our featured speakers on Thursday night at 4days4justice. Terry is Mi’kmaq /Acadian, from Listuguj First Nation. He is the founding Chairman and current CEO of NAIITS (North American Institute for Indigenous Theological Studies). He will be speaking on environmental justice from a Native American perspective. (I’ve often said I don’t know how anyone can ever presume to talk about environmentalism without first consulting those who are the first caretakers of this land). I got to know Terry, first at Urbana ’03 and am honored to call Terry a friend and mentor. Below is a video clip of a news report on Native – Canadian reconciliation in the church. Terry LeBlanc is featured in this interview. Terry will also be one of the moderators in the fishbowl discussion on scheduled for Thursday and Friday. See the 4days4justice website for full details. It is not too late to register. Andrea Smith (Professor at University of California, Riverside) will be presenting on the topic of the Non-profit industrial complex. Here’s a clip from Andy. Andrea will also be moderating the fishbowl discussion on Thursday and Friday.